2018 Dues Notices have been mailed. If you wish to renew online, please follow instructions on this site. You received a Past Due notice but have confirmation you have already paid. If you are applying for membership online, please select the appropriate payment below and e-mail CEAM a copy of the completed membership application. If you are renewing online, you MUST still submit a completed 2018 Dues Notice to CEAM so we can update your records with your current contact information. For each membership renewal, please enter the member name under the appropriate category and then click the "Add to Cart" button. You will be redirected to a PayPal checkout page. To add another membership renewal, please click the "Continue Shopping" button. Once all necessary renewals have been added, please click the "Checkout" on the "Your Shopping Cart" page to proceed to checkout. If you do not have a PayPal account, click "Don't Have a PayPal Account?" and proceed with entering your credit card information. IF YOUR CREDIT CARD CANNOT BE USED TO CHECKOUT via PAYPAL, please click here for an alternate checkout. If you have any questions or IF YOUR CREDIT CARD CANNOT BE USED TO CHECKOUT via PAYPAL, please contact the webmaster for assistance. Alternately, if you wish to donate to the CEAM Roger H. Willard Scholarship Fund, please click the "Donate" button below to complete a separate transaction. If you do not have a PayPal account, select the "Continue" button under "Don't Have a PayPal account?" to enter your credit card information. Thanks for your donation! For more information on the Scholarship fund, please visit our Scholarship page via the links to the left. 2018 CEAM Membership - Pay Your Dues! NOTE - NEW AMOUNTS for 2018 - Please see below! Regular Member Dues = $50.00 - Granted to all County, Municipal, State, or Federal Government employees. Associate Member Dues = $100.00 - Granted to any private corporation or organization representative, including engineering consultants, contractors, and vendors. 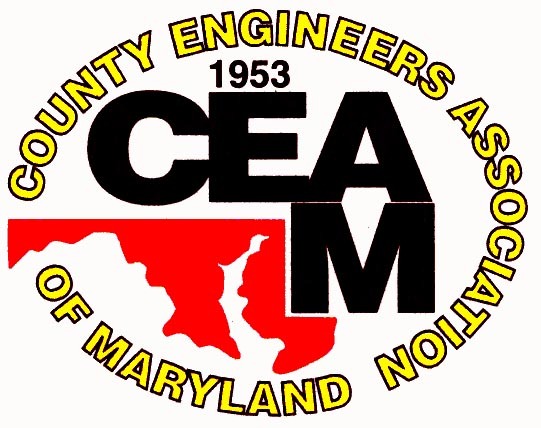 Retired Member Dues = $5.00 - Granted to all of our former members and associate members who still maintain an active interest in CEAM and the profession.